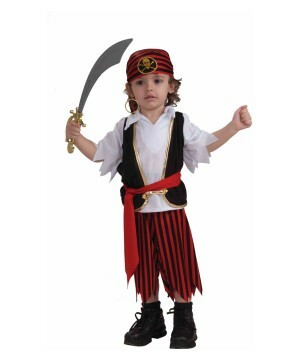 Toddler Tiny Pirate Costume. Available in size Toddler. This tiny terror of the high seas is ready to set sail for adventure and treasure! This popular pirate look comes with a top, attached vest, pants, bandanna and waist sash- all the pieces a good pirate needs. Your little one will be swashbuckling in no time thanks to this ensemble. Just keep an eye on your treasure and remember the pirates code- no prisoners! 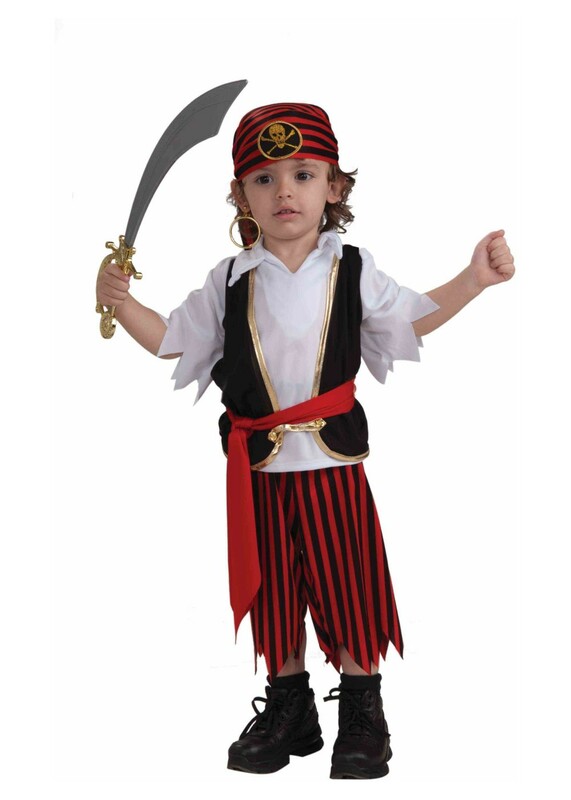 Review(s) for " Toddler Tiny Pirate Costume"